Red Dart Frogs are amphibians that can live in water or on land, though they lay and hatch their eggs in water. Their colors range from green to brown with or without dots and blotches. 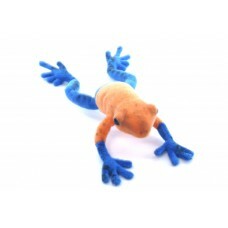 They usually have alternative green fully webbed feet and toe pads.